Smartly (and quietly) written and brilliantly illustrated. 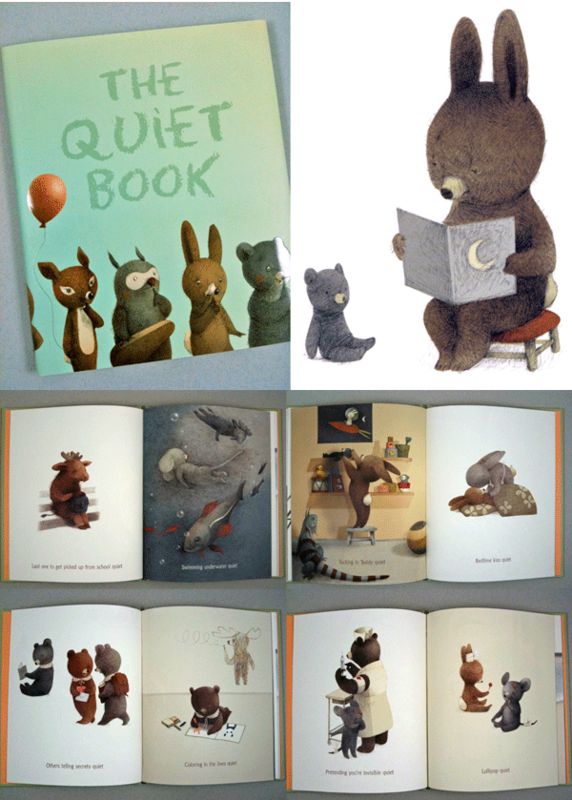 Renawta Liwska has graced the pages of The Quiet Book with the most adorable and expressive little creatures. Loose but masterful graphite drawings tinted with soft pastel colors—these owls, bears, moose, porcupines, birds, iguanas and rabbits draw us into exact moments in time where quiet is the requirement. Like the lonely moose that sits in silence as the last one to be picked up after school. If a moose could look sad, this is what it would look like. Or, the content mouse and rabbit licking wordlessly on their lollipops. 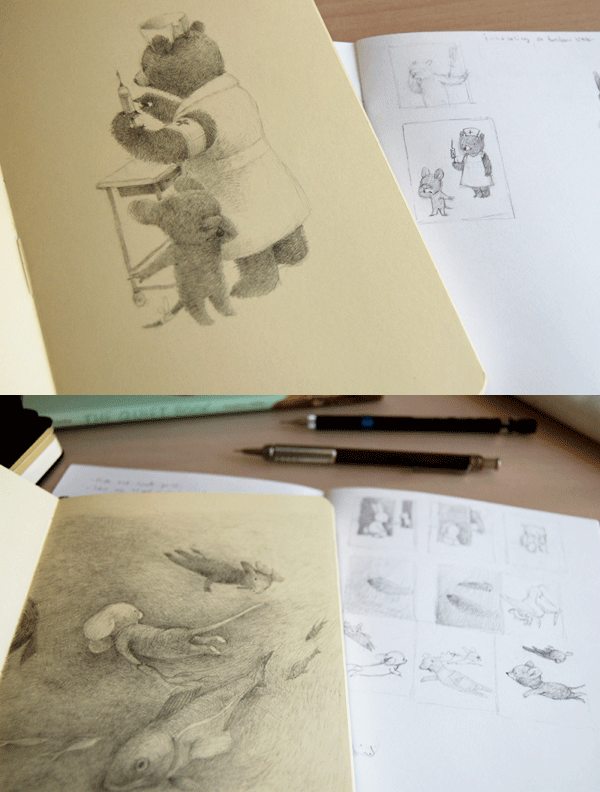 The design, color and rendering of every one of these pages are considered and restrained—quiet and very loud drawings. Most of the animals are four-legged—but stand on two and portray human expressions and gestures to the tee. They are both sweet and necessarily mischievous. This book is a soft jewel. Renata tells me that the most challenging aspect of making this book was to work tirelessly to the bitter end! Hard to believe, but she says that at times “ I didn’t have any drawings in me. And at the end I was out of gas and it was particularly difficult to finish up the last few illustrations.” The struggle doesn’t show! Renata credits her interest in drawing animals to watching the stop-motion kid’s TV shows called Coralgol, aka Jeremy the Bear, or Barnaby. Renata assures us there are more adorable creatures to come.